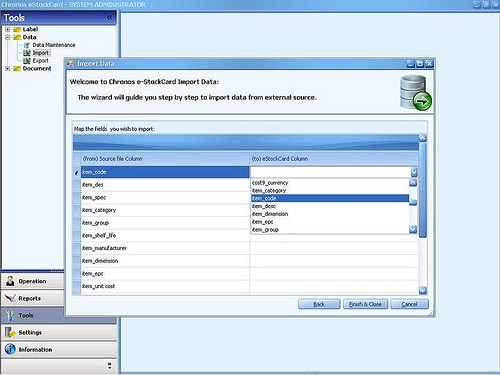 To import the Item Master data, just select the Item sheet (from the document). You will notice that the 1st row (highlighted in yellow) is the header name. Just key in or copy & paste the respective info to their respective column. Key in the item code under the “item_code” header. Key in the item description under the “item_des” column and so on. For information which are not available, just leave the column row empty. 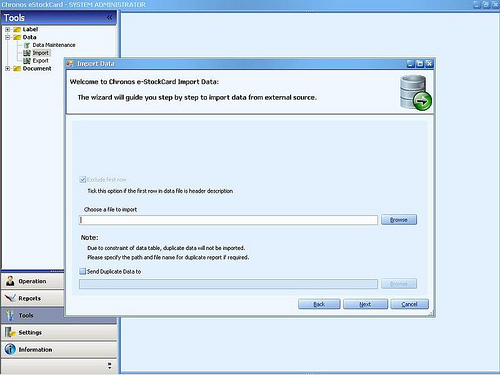 Once completed, go to the eStockCard program. 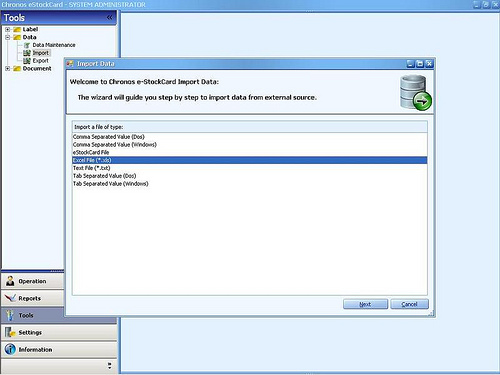 Step 2: Import Data from the Microsoft Excel file to Chronos eStockCard Inventory Software. i) Login to the program. ii) Go to Tools -> Data -> Import. iii) Select the required file to import. iv) Browse for the file to import. v) Select the Sheet that contain info which you would like to import. vi) Select the Data Table on which data to be imported into. 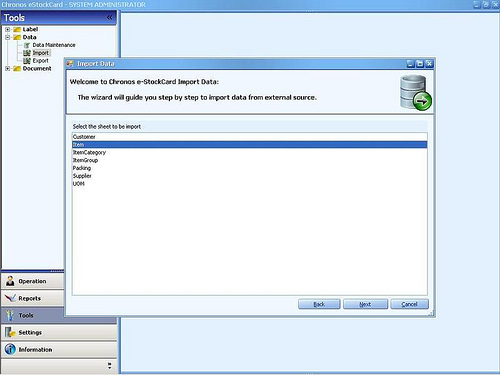 If you are importing Item, select Item. vii) Finally match the Source File column ( Header name ) with the eStockCard column name. Just select the Header name which have info enter into.